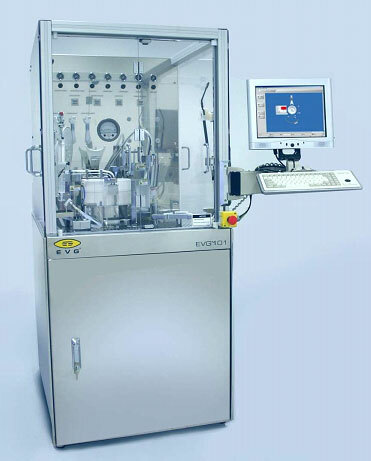 Hong Kong, China – June, 2011 - One of the Universities in Hong Kong has selected EVG®101 Advanced Resist Processing System for their research and fabrication facility. The machine will be used to spray resist on nano-fabrication devices. EVG is a worldwide equipment manufacturer. Their spray coater is widely used in different research centers, universities and industries. For semiconductor or MEMS fabrication, the features become smaller and smaller. Traditional spin coater cannot fulfill the requirement. Spray coater mush be used. EVG spray coater can achieve better uniformity and wall coverage on different features. Highly flexibility and easy recipe setup can help to improve the efficiency. Automation modules can be added for future requirement on mass production.